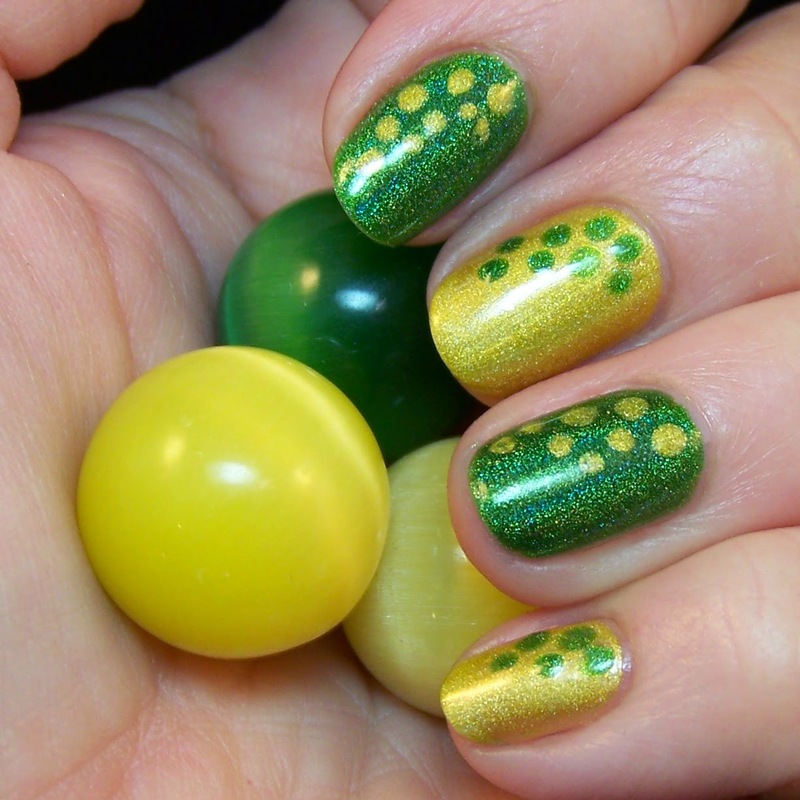 Wasn't planning on doing an Easter mani, but then I remembered that I recently got a lovely green polish and a lovely yellow polish so I changed my mind. 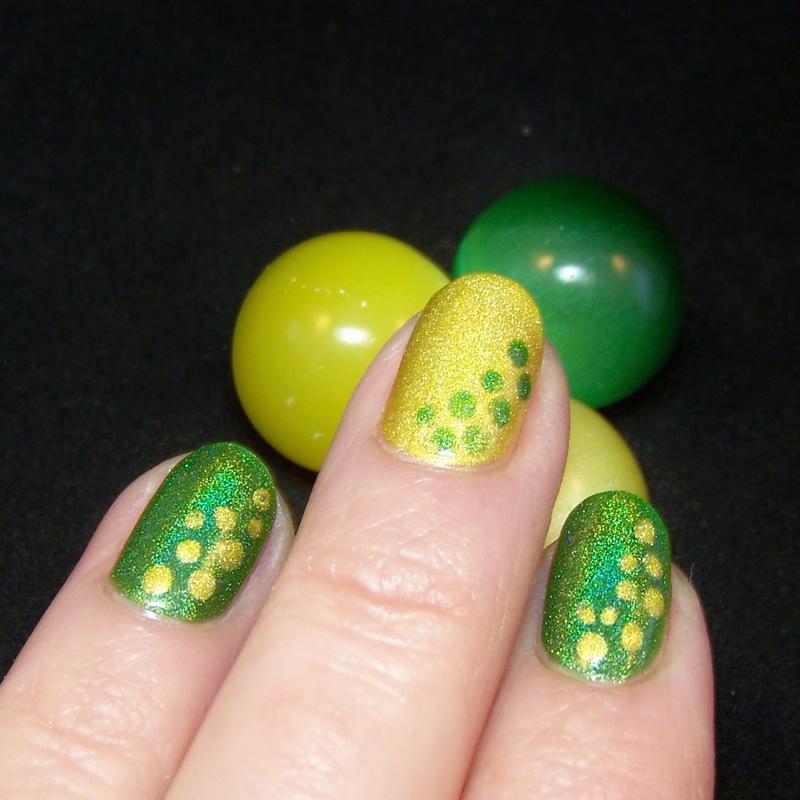 I gladly admit that I'm not the best nail artist so I settled for some dots. Good enough for me. 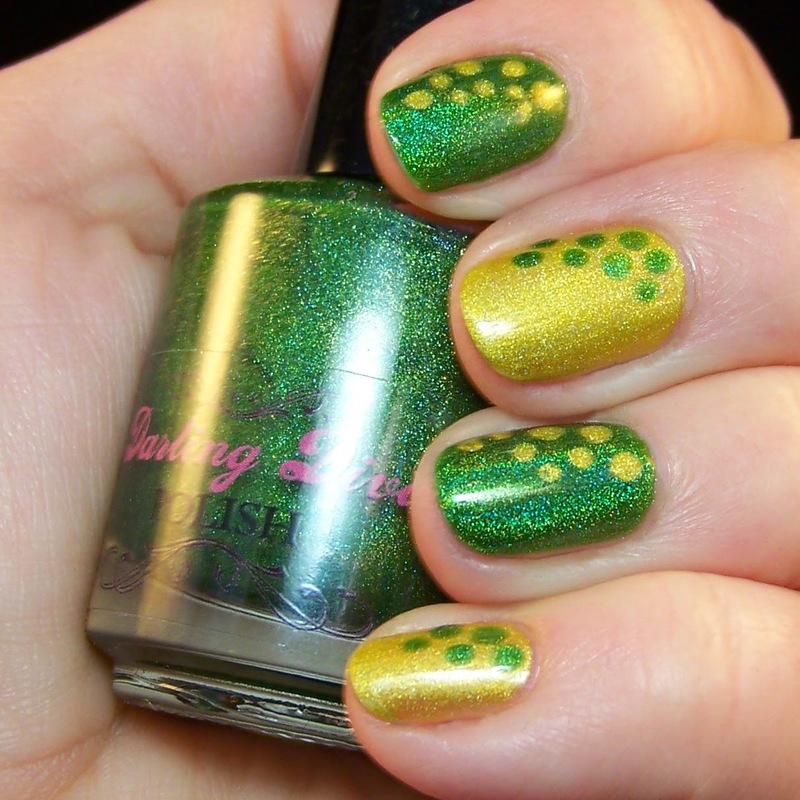 The green one is Darling Diva Landslide, a grass-green linear holo from The White Witch Collection. The formula is almost like glue, a bit gooey and difficult to get in the right place. At least it seemed like that at first, but it somehow floated out over the nail so with two coats I got an almost perfect finish. The holo is strong and flashes mostly in yellow, at least in indoors lighting. It is a bit more linear that it appears in these pics. I bought this from Darling Diva's own shop. 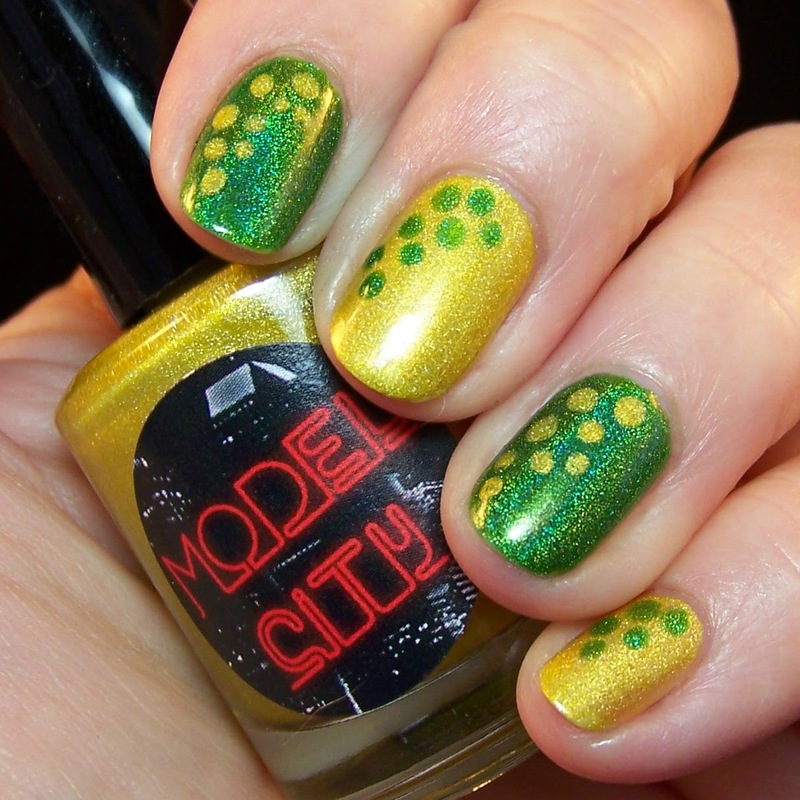 The yellow polish is Corn Maze by Model City. It is a scattered, with a touch of linear, holo. It really is corn yellow with gold shimmer. The formula of this was better, but in this was actually more difficult to get even, it was a bit streaky even after the second coat. Nothing disturbing though, it is lovely anyway. 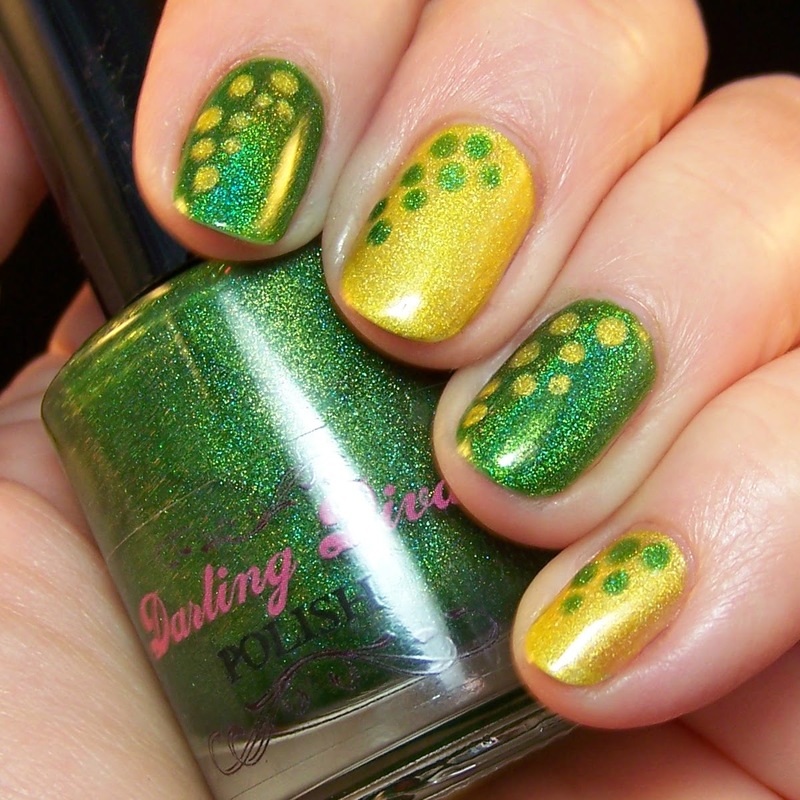 I bought this polish from Edgy, a Swedish shop with a wide range of indie polish brands. And yeah... Sorry 'bout the a bit dirty cuticles, removed a dark grey polish before this.